The Hirschland family donated the entire park area to the Düsseldorf city council to build homes for low-income housing. Düsseldorf accepted and built a large area with inexpensive homes. Grateful for the donation, the city council named one of the streets “Henriettenstraße”. My grandfather (Hugo Hirschland) lived there with his wife (Anna), and children, Hans, and Ilse. Ilse is still living there! During the second world war, the Nazis built a planetarium near this area and renamed all streets in this district with planet-names: “Merkustraße”, “Planetenstraße” and so on. “Henriettenstraße” was renamed into “Saturnstraße”. One week after the war ended, my father Hans-Wolfgang began writing letters to the Düsseldorf council about this, and some years later Düsseldorf returned the name of the street to “Henriettenstraße”. This was a credit only of the patience of my father and he was very satisfied about the result of his efforts. You can find the area in the Düsseldorf district called “Bilk”, on Goggle maps you can find it with “Düsseldorf, Henriettenstraße”. 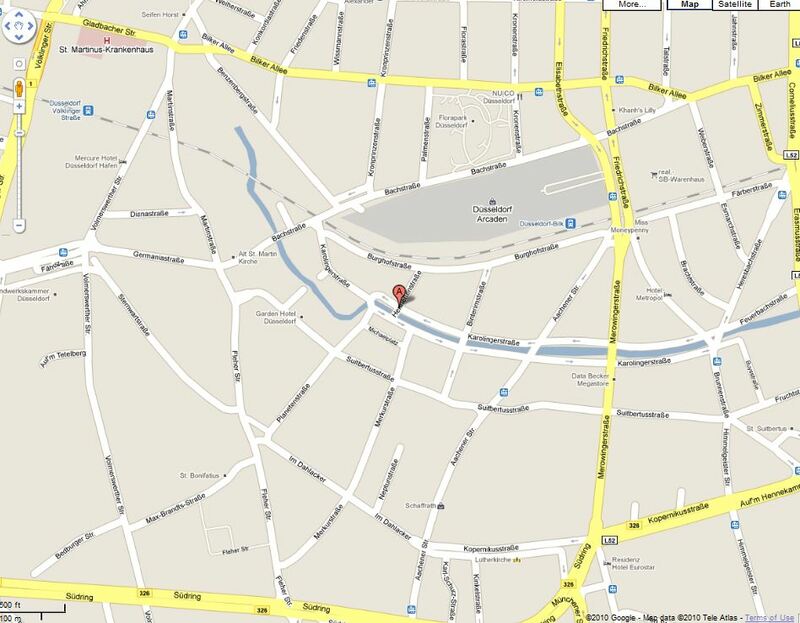 You can also search about “Düsseldorf, Sternwartstraße,” which is where the planetarium was. Also you can get an idea about the dimensions of the construction volume of the building project of that time. I remain in close contact with my Aunt Isle, who has told me that during the war, the family lived in fear of the Nazis, so her mother destroyed all relevant family documents. On a family history note, my father grew up in a home built on Hirschland land, but the Hirschland family had disowned my grandfather with all consequences, when he married my Catholic grandmother. At that time, it was absolutely politically incorrect and a terrible activity.